For over 100 years, the phrase “as American as apple pie” has been a thing here in the States. So today is a celebration of this popular dessert and I’m bringing this doodlewash to our dinner in honor of the day. There’s so much to love about apple pie itself, but mine is served à la mode because any excuse to have a scoop of vanilla ice cream and I’m in! I do love pies and cobblers, but they feel naked without some form of cream accompaniment, be it frozen or whipped into a frenzy. But this day is about the pie so back to that bit now. Looking into information about apple pie, I discovered that in 2008 there was a “Pie Slice of Life” Survey, conducted by Schwan’s Consumer Brands. Apparently in this survey, when they asked people which TV mom would bake the best apple pie, over 40% of them said Carol Brady of The Brady Bunch. This seems super ridiculous as anyone who actually watched the show never saw her do anything in the kitchen or really anything remotely domestic at all. The entire workload of cooking and cleaning was left to the Brady’s housekeeper, Alice. But that’s what the people said, so apparently had Carol Brady ever actually used a kitchen she would have made a killer apple pie. According to the American Pie Council (yeah, it’s a real thing), if you are a lover of apple pie then that means you are more likely to describe yourself as “independent, realistic and compassionate.” Absolutely no reason was given as to why, but there you have it, you’ve been diagnosed. The truth is, apple pie is delicious and so incredibly common there’s really not much more to say about it. It’s just awesome! So grab a slice and enjoy on this festive day. But for heaven’s sake, don’t forget the ice cream! 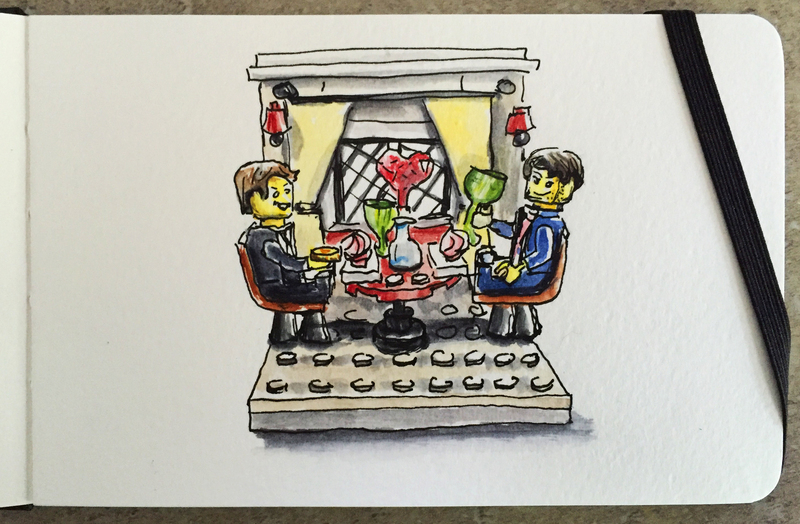 You’re all invited to a Doodlewash Dinner Party during the month of May! Just tag your food or drink image #doodlewashdinner and I’ll feature you and your culinary creations in a delicious Doodlewash Gallery at the end of the month! Oh I love apple pie and guess what? I love to make it! Now I should have a big sweeping double diagnosis on that….adding maybe stubborn to that list? Love your doodle sketch….now I want apple pie and of course the vanilla ice cream to go with it! I wonder how many people follow your blog who has never had apple pie? That would be interesting to find out. 🙂 Have a totally awesome weekend Charlie! Thanks Margaret! 😃💕Glad ya liked this! And yeah…hmmmmm…not sure what your diagnosis would be other than awesome!! I’ll be right over and bring the ice cream!! Hehe!! I think the American version is super thick…hehe…Philippe makes a delicious one but it’s more of a flat tart. when you come to visit, I will make you my famous dutch apple pie and of course have vanilla ice cream as hubby won’t eat it any other way. 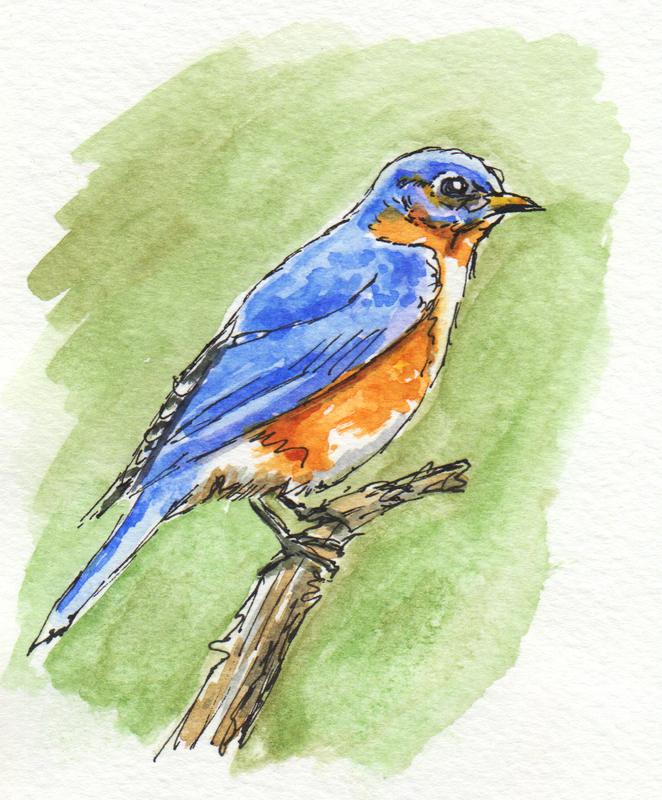 Your pie doodlewash is awesome! Thanks Jodi!!! 😃💕And Yum!! I would have just been happy with the cookies but now knowing there’s a Dutch apple pie involved… I need that ticket to Mars!! I definitely agree, that pies and cobblers need a counter part. I could never eat a dessert as such without whipped cream!! This is fantastic! I would say I want some now, but to be honest, I always want apple pie; it’s a question of how badly. There’s just been a shift. 😉 Whipped cream for me, of course. I confess to much laughter at ‘American Pie Council’. Why am I not entirely surprised? 😛 Though now I’ve said this, there’s bound to be an English counterpart. Exactly… it’s not freezing cold! I can tolerate it, unless there’s custard available, of course. Custard always wins! I couldn’t find a European counterpart, but I did find the American organisation’s website. You can even buy ‘Pie Police’ T-shirts and caps! Ha ha! You should totally get yourself a cap. Wonderful apple pie today, Charlie, you doodlewashed a great dessert. How did it taste? Thanks Sharon! 😃💕This was sadly from a photo reference as I didn’t get to have one today. But I’m holding out hope for the weekend!! What delicious looking slice of pie. I’ll eat pie any hour of the day. Thanks for the interesting bits about pie, Charlie. Thanks Sharon!! 😃💕 I think I could eat pie at any time as well!! Hehe so good!!! Love apple pie, with lots of cinnamon, the perfect pastry can really make the pie one of the best puddings, of course with a homemade creamy vanilla ice cream scoop on the side. I think our hospice makes the best homemade apple pie ( I am rubbish at pastry, so opt for premade, or I just buy the apple pie from the local farm shop, I would rather eat it than bake it, ……if I did make it no one would want to eat it, lol) . Thanks so much!! Glad you liked it! 😃💕 And yay! Hope you enjoy your slice of pie! Hehe Glad I could tempt you! Wonderful painting, it just glows, Charlie! I think food is something you really shine at! Just love! How very interesting! My students are learning about correlation in data.. This would be fun to explore.. Lol. I love apple pie. I love the flaky crust, the sweet cinnamon and the apples! I actually like my apples to be a bit on the crispy side, though.. I’ve never made an apple pie that I thought was decent. So I just buy them! And yes, definitely a la mode!! Oh wow! A correlation study with Carol Brady sounds amazing!! I’d sign up for that class! Hehe! And yay! Glad you’re a pie and ice cream fab too Kari! 😃💕 I like the crisper apples as well. Philippe’s apple tart is amazing!! Charlie, your stories make me smile so much! I agree with the ice cream or whipped cream with pie, and most other desserts! When I was a kid my grandpa used to put a slice of melted cheese on his Apple pie. I don’t know why or where this came from, but I thought it was gross. Guess you never know till you try it, but I will leave the trying to someone else and opt for a slice that looks as sweet as yours! !